In the wake of the Assembly elections in Telangana, TNM visited Manala to see what has changed in the decade and a half since Maoist activity reduced in the village. Manala adavullo mallelupusenamma // Avi manchi machi mallelamma! // Avi errani mallelamma..!// Nelamma odilone raliramma..
Oh mother, the jasmines bloomed in the Manala forests // those are beautiful jasmines // And they are so red // They've fallen in the lap of mother earth.. This song – a tribute to fallen Maoists – once resounded in the forests and villages of the then Nizamabad-Karimnagar districts. The village of Manala, that the song talks about, was the site of an alleged encounter between Maoists and Greyhounds, back in 2005, where 10 rebels were killed including three women. But on a sunny Monday morning in November of 2018, the songs that play in Manala are quite different. 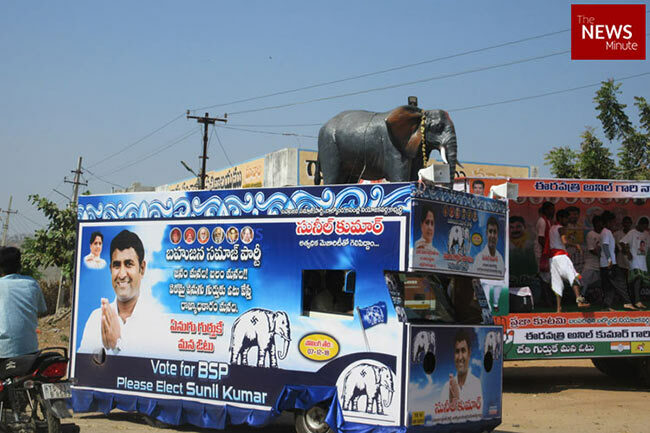 A mobile campaign vehicle is moving around the village, with a few artistes singing and dancing, as the residents of Manala gather to witness the election spectacle – something that would have been a strange sight just a few years back. 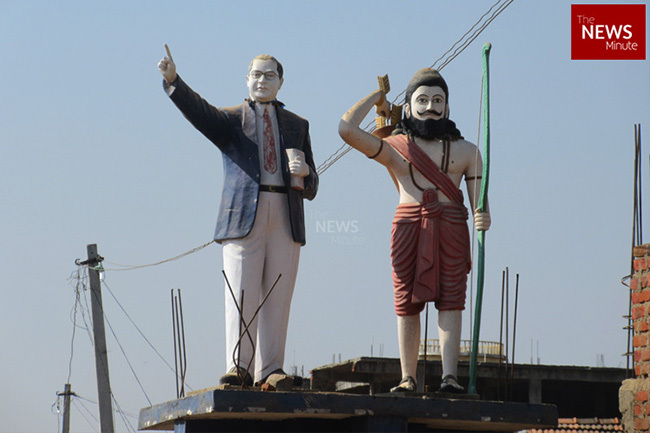 The spot where the residents witness the campaign gimmicks of political parties is in the shadow of a stupa – a memorial – that is 51 feet high. 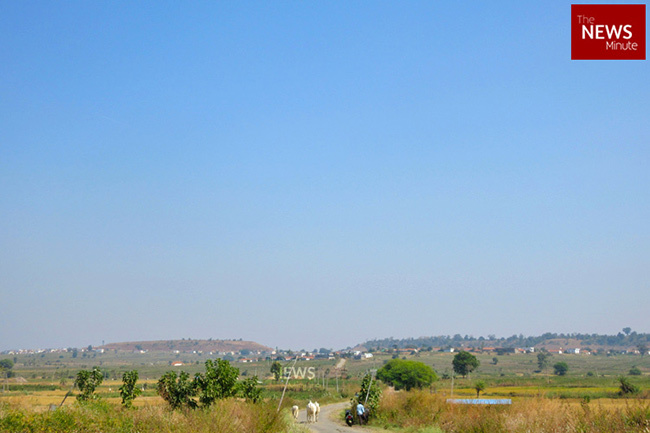 The stupa built in 1997, is red in colour, slightly faded, and the top of the stupa has the sickle and hammer symbol. The tallest stupa built by the outlawed party in memory of women cadres who died in the Naxal movement was unveiled by poet Varavara Rao and Gaddar, according to people in the locality. 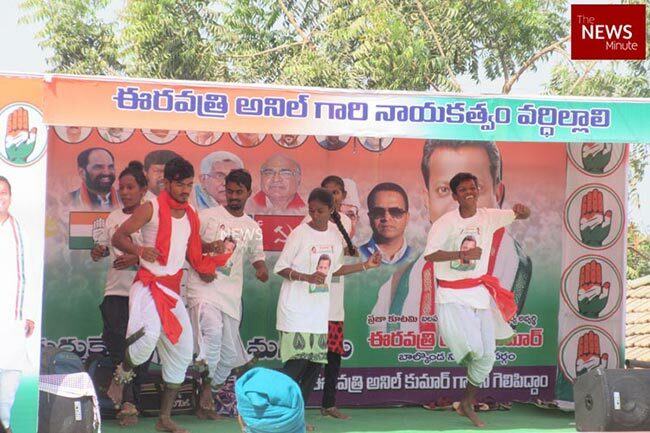 In the wake of the Assembly elections in Telangana, TNM visited Manala to see what has changed in the decade and a half since Maoist activity reduced in the village – and what the election issues are for the residents, who will be voting in the MLA of Balkonda constituency. Manala lies in the midst of huge hills covered with dense forests, in the Rudrangi mandal of the Rajanna-Sircilla district – a new district that emerged from the former Karimnagar. 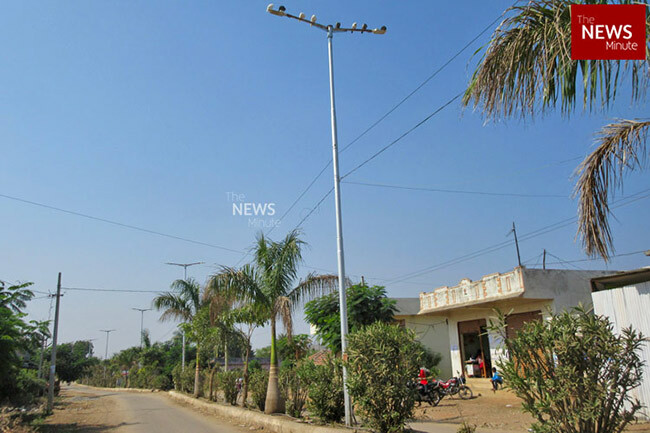 Until recently, Manala was part of neighbouring Nizamabad, in the revenue jurisdiction of Kammarpally mandal. According to the 2011 census records, the village has a population of 6,086, with 1,368 households. This including the 16 thandas (hamlets) near Manala, which have now been transformed into Gram Panchayats. A revenue official that TNM spoke to says that by now, the population must have shot up to around 8,000. 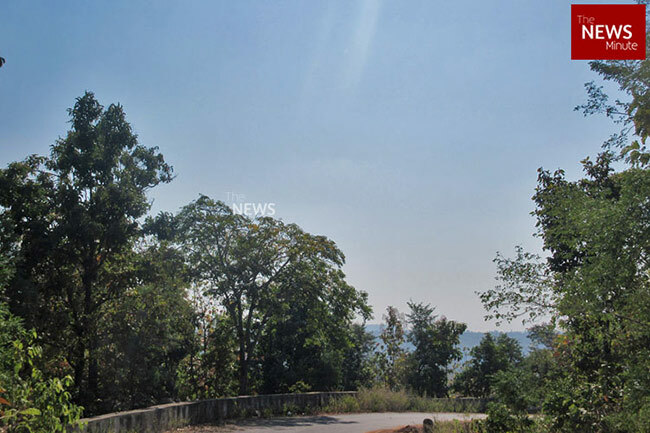 The village borders the forests of Bheemgal-Dharpally, Sirikonda, and the then-Sadashivanagar and Machareddy areas of Kamareddy – and therefore was the ground for outlawed Maoists to operate. In March 2005, months after peace talks between the then-Andhra Pradesh government led by YS Rajasekhara Reddy and CPI (Maoist) party were dubbed unsuccessful, an alleged encounter took place between the elite anti-Naxal police forces called Greyhounds and the rebels. The Maoists claimed this was not an encounter – many said that the Naxals were poisoned before they were killed. Either way, the incident came as a massive blow to Left-insurgency in north-Telangana at its peak. Since then, human rights activists say, there has not been any resurgence in Maoist activity in the region. 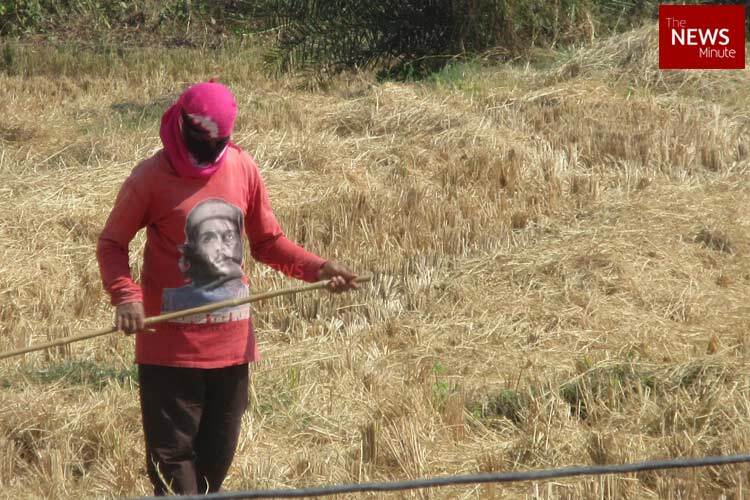 A tribal farmer in his early 40's in a nearby hamlet recounts his younger days, when he says he used to see Maoists in the region while he went out for cattle grazing – which is not the case today, he says. “For many people, lands were given during their time,” he says, suggesting that the Maoists did enjoy the support of the people before. Back when caretaker CM KCR was fighting for a separate state of Telangana, he reportedly got the backing of Maoists because he claimed that his party’s agenda was the same as that of the Maoist party. Now, the villagers seem to be batting for ‘development’ as the election nears. As the campaign artistes are busy seeking votes for their party while singing songs in local tunes, Venkanna and Shyam are busy discussing the elections and the promises that the parties are making. Venkanna is a farmer and an occasional labourer, also in his early 30s. “There is no development here,” he says, “Although there are roads – where is the transport facility? RTC buses only shuttle between the village and Bheemgal, Armoor and Korutla.” Venkanna, like several other villagers, feels that infrastructure and public transport in Manala needs to be addressed. People are dependent on private vehicles like jeeps and autos, he says. Venkanna is also agitated because the government has not fulfilled its promise of building 2-bedroom pakka houses for the residents, he says. “He hasn’t fulfilled whatever he promised to come to power, and now he wants to come to power again,” Venkanna says, referring to caretaker-Chief Minister and TRS party chief KCR. Asked about who he supports, Shyam says he wants to give a chance to the BSP candidate, Sunil Kumar. Manala’s economy is mainly dependent on agricultural – several women farmers are busy with agricultural activities when we visit the village. Lindi is one of the 1,04,195 women voters in the Balkonda Assembly constituency, where the women electorate is 8% higher than the men. Lindi’s two sons are in Hyderabad for higher studies, while she and her husband are farmers. Changi*, a 50-year-old farmer from Badithanda, is on her way to her paddy field. In a brief conversation with TNM, she says that she got assistance from the Rythu Bandhu scheme for her 5 acres of land, and therefore she will vote for KCR’s party. When asked if she remembers such massive campaigning by political parties 20 years back, she says she doesn’t really remember politicians coming to her hamlet before. As afternoon sets in, school children are seen flocking back home. A revenue official tells this reporter that things have changed drastically in Manala in the last few years. “The people are very focussed on education. Most of the tribal youths are studying in cities. They’re economically independent,” he says. Others in the village say that people of Manala – especially Dalits and other marginalised communities – migrate to Gulf countries often. As the loudspeakers continue to blare on the roads of Manala, the Stupa in the crossroads becomes a silent witness to the new political culture that time has brought. A lot has changed in the last 15-20 years, as locals observe. But as political parties vie for the votes of the residents of Manala, the jury is out on who will actually win.